Custom built in 1920 for former NH Governor Huntley Spaulding, the Inn was designed as a Georgian Colonial and features lace woodwork, marble fireplaces, an elliptical staircase, French-pane windows and a red brick patio. Governor Spaulding, along with his brother, Governor Rolland Spaulding, who lived in the estate next door, was head of the Spaulding Fiber Company and other early industries located across New England and overseas. Spaulding was a key benefactor of Rochester's Frisbie Memorial Hospital and Spaulding High School. Those who travel to Rochester will also notice the state's memorial to the Governor, the Spaulding Turnpike. 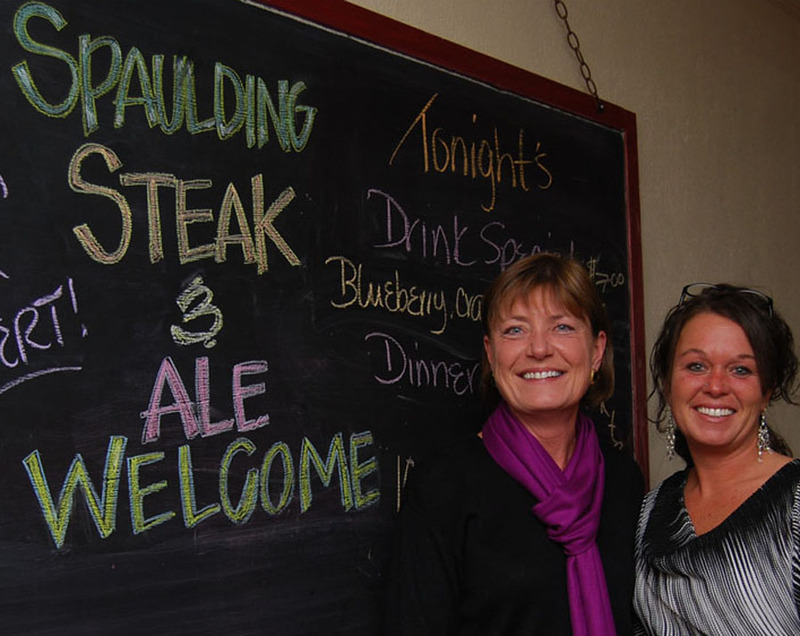 The Inn opened in the spring of 1992 as a five-room Bed and Breakfast serving dinner on Saturday evenings only. The Inn soon began serving lunch and dinner on a more regular schedule. In 1996 The Governor's Ballroom, Spaulding Tavern and four additional guest rooms were added. In 2000, The Governor's Inn acquired the Rolland Spaulding Estate next door, which added three additional Special Event dining rooms and boosted The Governor's Inn's overnight accommodations to a total of 20 guest rooms, all with private baths. The Inn, under the continued management of the Ejarque Family, strives to provide its guests with friendly service, great food, lodging and live acts. The motto of the Governor's Inn is "Uplifting the community through exceptional hospitality and entertainment."